As the visitor to this website will gather, much of the work on it has been inspired by the poet Paul Celan (1920-70), perhaps most of all by his “Meridian” speech (1960) and The No-One’s Rose (1963). Both these works hint at a global consciousness and treat of poetry as a path to, or within, such a consciousness. A man of wide learning, keen thought and deep feeling, Celan developed a style that is incredibly condensed, like the matter of dwarf-stars. Most of his utterances are “obscure” on first reading, and some of them may never be fully interpreted. Yet with time an impression of Celan’s world-view does form and find confirmation – and application. 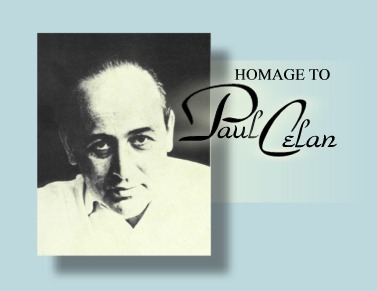 On this page, eventually, will be posted studies of and responses to the work of Paul Celan, as well as links to other websites about him.